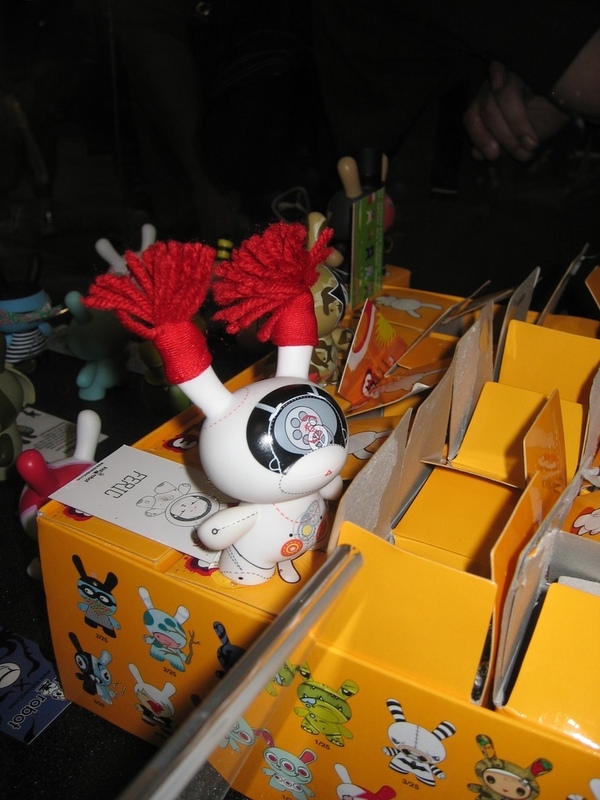 SDCC started off with a bang, a bang from a fork lift dropping boxes of merchandise. 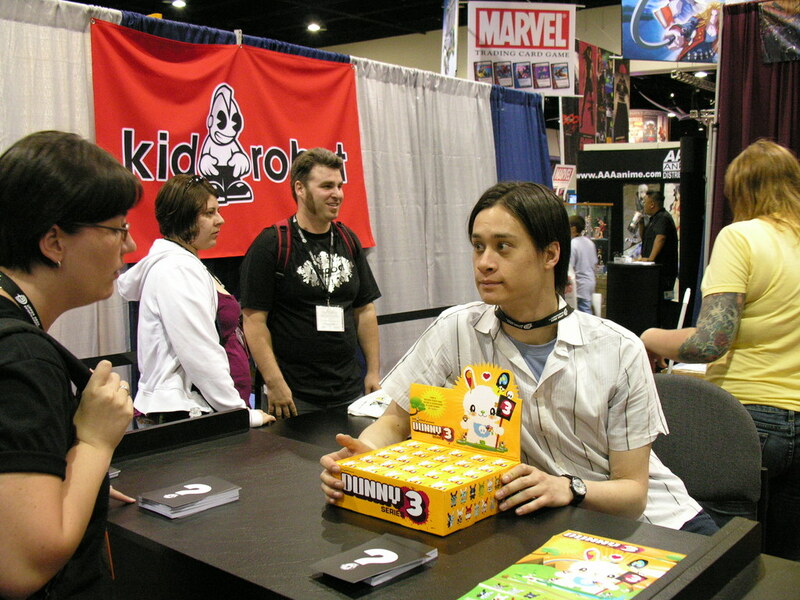 Opps!! 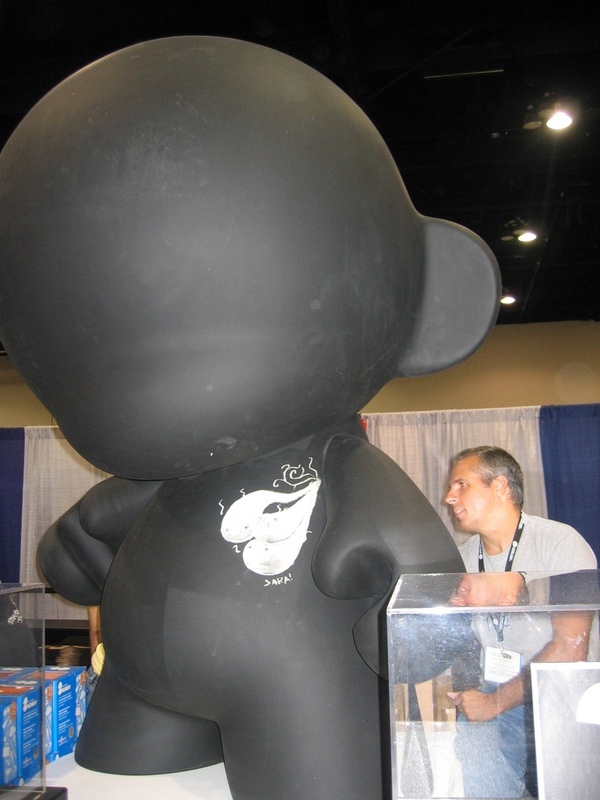 Someone is not going to have their products!! 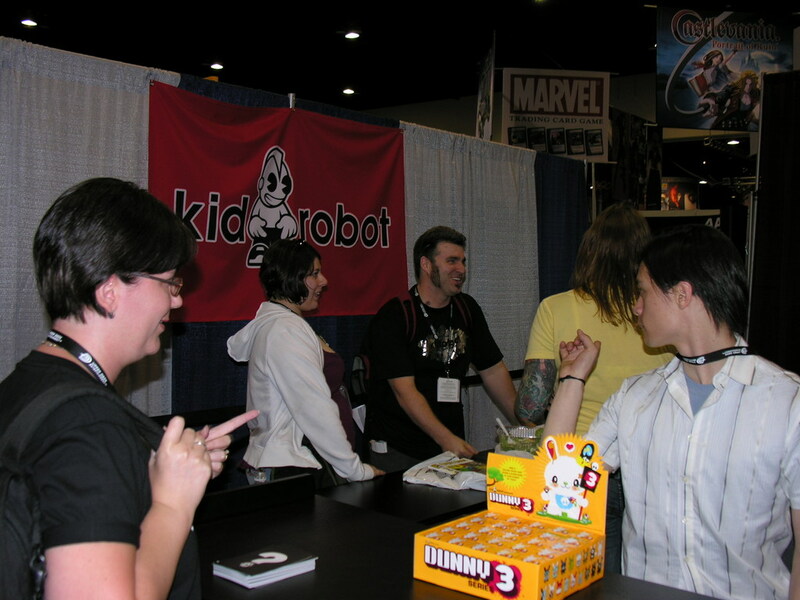 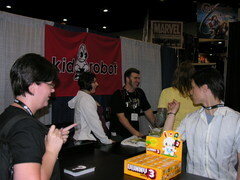 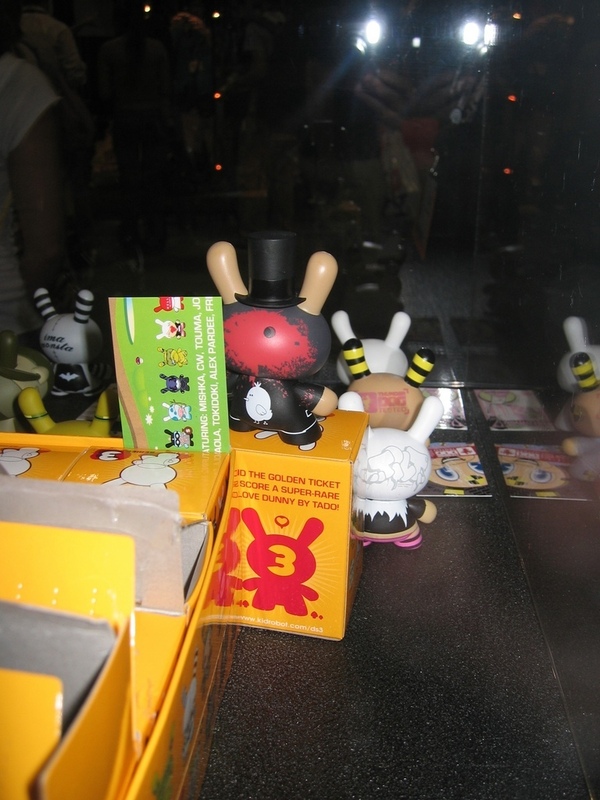 Luckily it wasn't a vendor we were interested in, like Kidrobot. 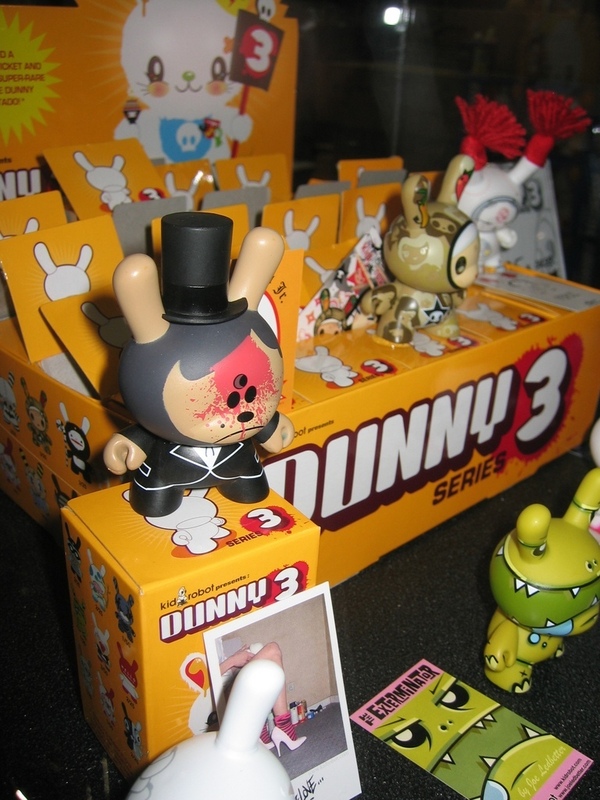 With a line of surprised toy releases for the remaining days of SDCC, Kidrobot, booth #4529, started off Pre View Night with the sale of Dunny Series 3. 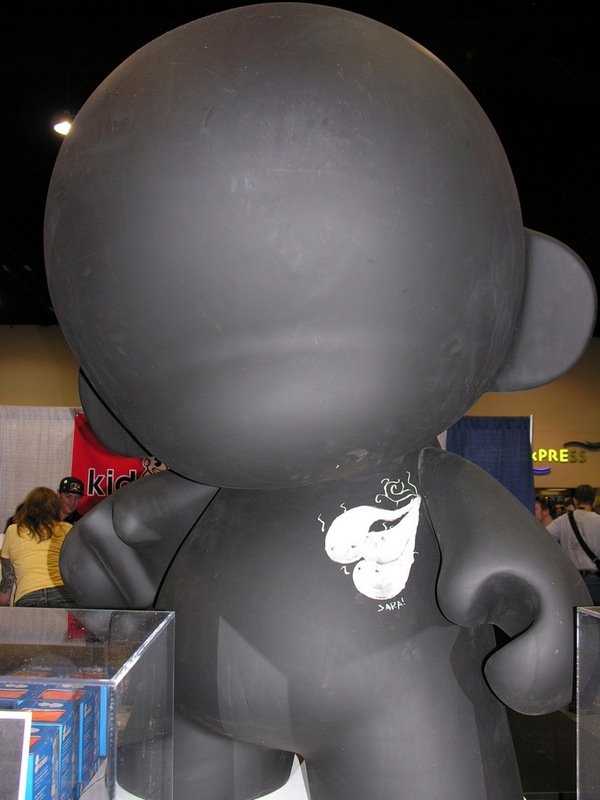 Besides, the 2" fellas, there was a 60" Munny waiting for artists to doodle on. 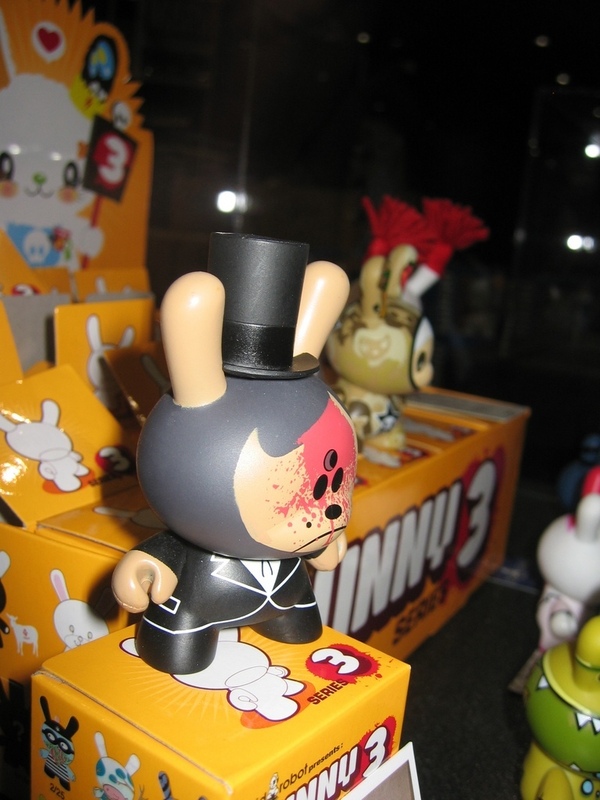 Here's a up close and personl look at the Series 3's chases and Gary Baseman putting his mark on the gaint toy. 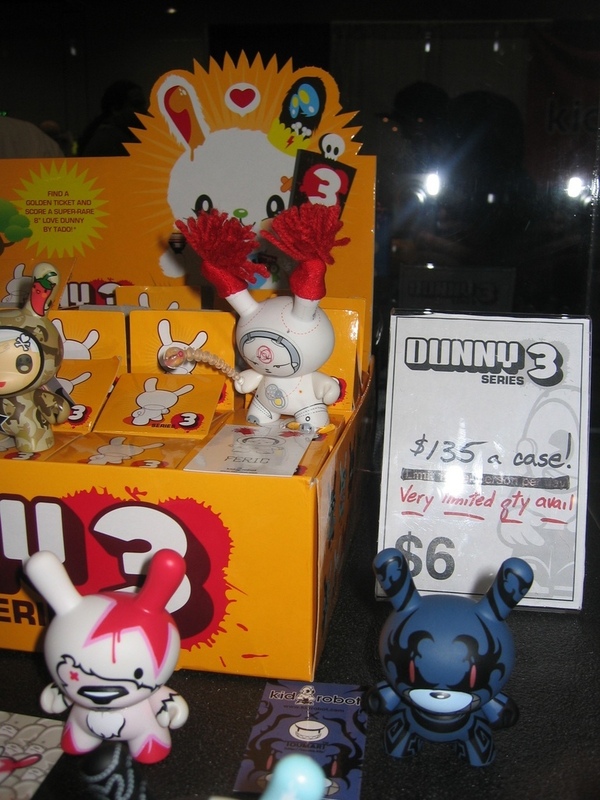 I would love that giant munny to customize.